Just realized I haven't posted a Heyward all year. Better enjoy the Heywards while I can since the Barves are hell bent on paring their payroll down to Marlins levels by the time the new stadium (paid for with my tax dollars) opens. 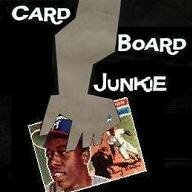 Not sure if I'll collect Yankee or Dodger Heyward cards. 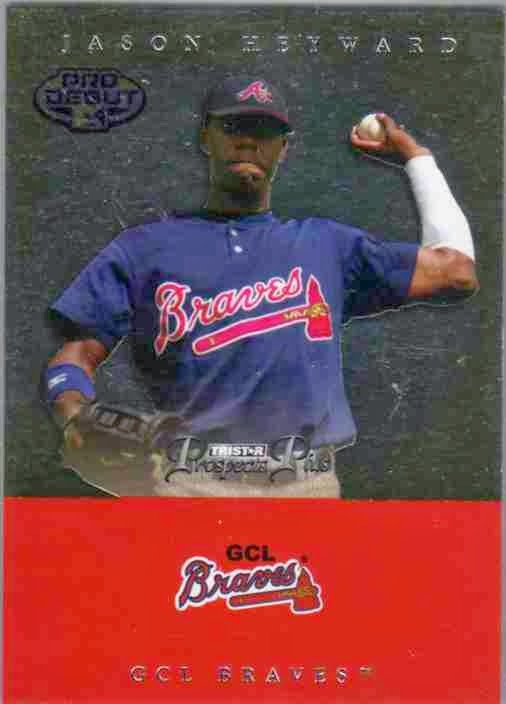 This might be the first Heyward I pulled out of a pack. 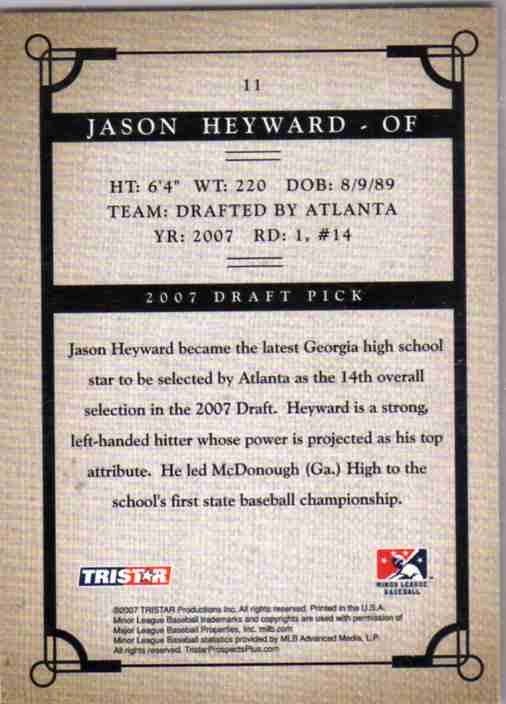 Not entirely sure if this specific card was the actual first one since I opened quite a few boxes of this stuff looking for the Heyward auto and have a half a dozen of the base card. In all those boxes I pulled not even one of the color parallel cards. Not one. That's one way to do a parallel set I guess, make 'em so rare that bottom feeder collectors like myself never have to worry about them. The foil on the front doesn't scan worth a flop, but I rather enjoy the homage to 1968 Topps burlap on the back. very cool... I don't have me one of those.